Your benchtops, vanities and table tops may see daily use and abuse, but they don’t have to look that way. We can repair, clean, and polish them to like-new and offer state-of-the-art stain and etch protection treatments. 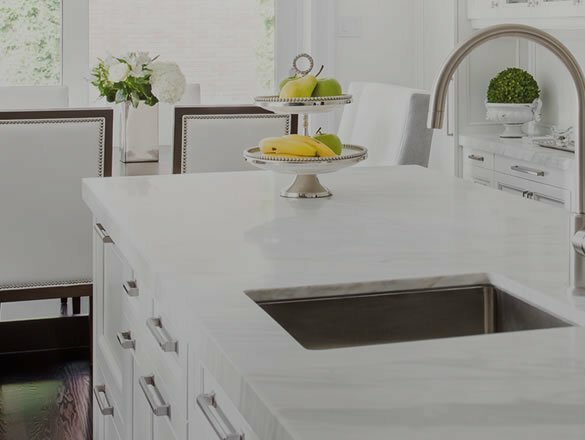 Our technicians can not only resolve virtually any problem with your natural stone tops, but provide education in the appropriate cleaning and care methods and recommend stone-safe products for your specific needs, as well. Interior designers say floors are the fifth wall. Are your floors dull, stained, scratched, chipped, etched or otherwise damaged? We can restore their shine and elegance. How about your tile and grout floors — are those grout lines a lot darker than when the floor was first installed? Our technicians can resolve all of these issues. 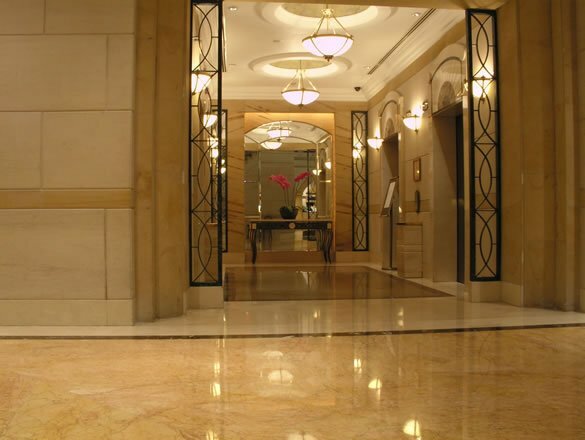 We restore marble, limestone, travertine, terrazzo, and tile and grout flooring. Our services include cleaning, sanitizing, honing, polishing, repairs, sealing, protection, and more, so your floors always make a positive impression. The water-rich environment of showers and baths creates unique cleaning challenges, and sometimes professional attention is needed. Soap scum build-up, mildew, etching, permanent stains, or other damage can really diminish the elegance of your bath and shower space. We provide complete bath and shower services, from deep cleaning and sanitizing to honing, polishing, repair and restoration to sealing and protecting. Quite simply, with our professional services your bathrooms can sparkle once again.